There are 141 articles in this category. Watch as Sevan Matossian catches the fittest men in California during their most exposed and most triumphant moments at the California Regional, held May 13-15 in Del Mar, California. In a hotly contested region thick with CrossFit Games veterans, nothing is guaranteed. Top athletes talk about their single-minded pursuit of the podium and how they filled the void when they stepped back from the sport they love. Most of us define ourselves, in part, by our job, our family and our interests. But what happens when things change—who will you be then? Chris Spealler, Eric O’Connor and Matt Chan are friends, former CrossFit Games athletes and members of CrossFit Inc.’s Seminar Staff. 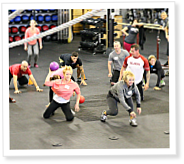 In this video, follow the trio as they teach the CrossFit Competitor’s Trainer Course at three locations in Europe. The jet-lagged crew gets somewhat of a bumpy start in Geneva, Switzerland, as they try to traverse the revolving doors and parking-lot gates. “I haven’t slept in at least 36 hours,” Chan says wearily. Follow CrossFit athlete Steve Kois as he competes in the 2015 World Long Drive Championship, in which heavy hitters ditch the putters and irons to send balls over 400 yards downfield with the driver. 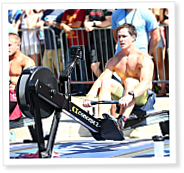 Kois, who trains at Ionic CrossFit in Bonita Springs, Florida, discovered CrossFit in 2013 when he watched his dad’s recording of the 2013 Reebok CrossFit Games.